Jim Bob is a graduate of West Texas State University with a degree in Industrial Education. He oversaw the Woodworking class at Levelland High School from 1983 to 1998. He then served the Lubbock Independent School District teaching Technology Education at two middle schools until his retirement in 2011. During his teaching tenure, numerous students competed in the Technology Students Association’s regional and state project competitions. He was named regional outstanding teacher by the South Plains Industrial Teacher Association three times during his teaching career. 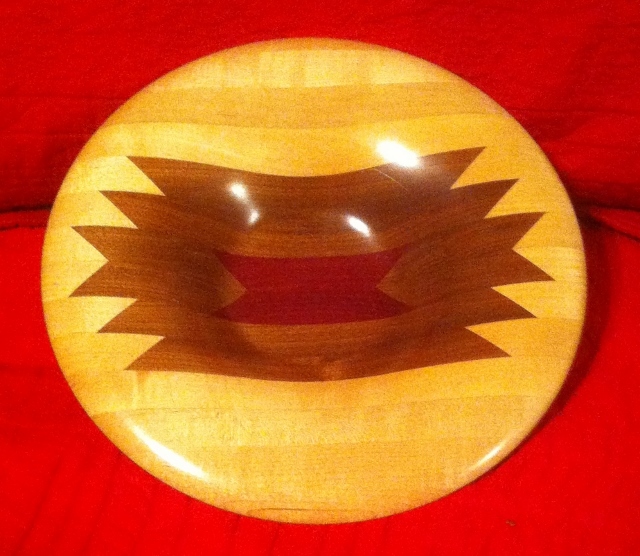 Jim Bob joined the South Plains Woodturners upon its inception in 2006. He has served in the capacities of club librarian, Treasurer, and is the current President of SPW. With his extensive background in woodworking, Jim Bob has demonstrated numerous times for his local club. He has also demonstrated for the Panhandle Area Turners Society (PATS) in Canyon, and most recently for the Mountain Top Turners in Ruidoso, New Mexico. Since retirement in 2011, Jim Bob has opened a woodworking shop. He does a wide variety of woodworking activities from turning to custom pistol grips! He recently acquired a Powermatic 3520B. He annually turns commemorative baby rattles for Monterey Church of Christ’s Family Commitment Sunday. He has lived in Lubbock since 1985. He is married, with two children.